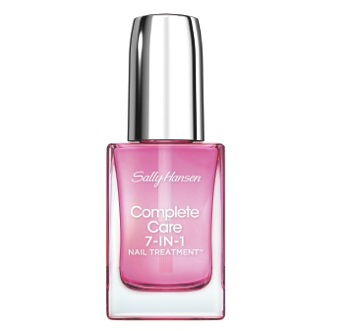 Sally Hansen’s beloved product, COMPLETE CARE EXTRA MOISTURIZING 7-IN-1 NAIL TREATMENT, just got even better! Whether your nail problem is dryness, ridges, dullness, breakage, peeling, or all of the above, Sally Hansen presents the solution: new Complete Care 7-in-1 Nail Treatment. This product helps restore dry, brittle nails making them visibly healthier and beautiful. After just 3 days, nails look shinier, stronger, mega-moisturized and brighter with ridges filled. The exclusive patented formula, with Avocado Oil, Sea Salt, Pomegranate Extract and Calcium, immediately protects and continuously nourishes nails, helping create the perfect foundation for any manicure. The product features a new brush for an even application and dries quickly to a smooth, hard finish.This versatile treatment can be used alone or with your favorite Sally Hansen nail color when applied as a base coat or as a protective top coat. To wear it alone, simply apply two coats to clean, dry, bare nails. Use it to refresh a manicure by brushing on one thin coat to nails. 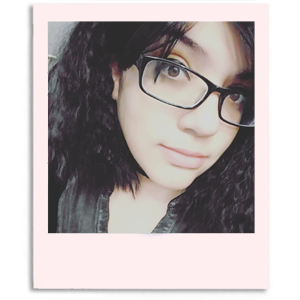 It goes on smoothly and evenly, for a streak-free application. Retails for $12.99.